Pepero to go around the metro for the Pepero Almond Chocolate biscuits - Hello! Welcome to my blog! Lotte Confectionery Pilipinas Corp. takes pride in its premium offering: the Pepero Almond Chocolate biscuits. Delightfully baked biscuits coated with high quality almonds from California, Pepero Almond Chocolate only uses chocolate beans from Ghana in the Ivory Coast. An irresistible treat amongst the chocolate lovers, a serving of Pepero Almond Chocolate—biscuits covered in premium chocolate and hiqh-quality almonds—is an indulgence perfect for any moment. 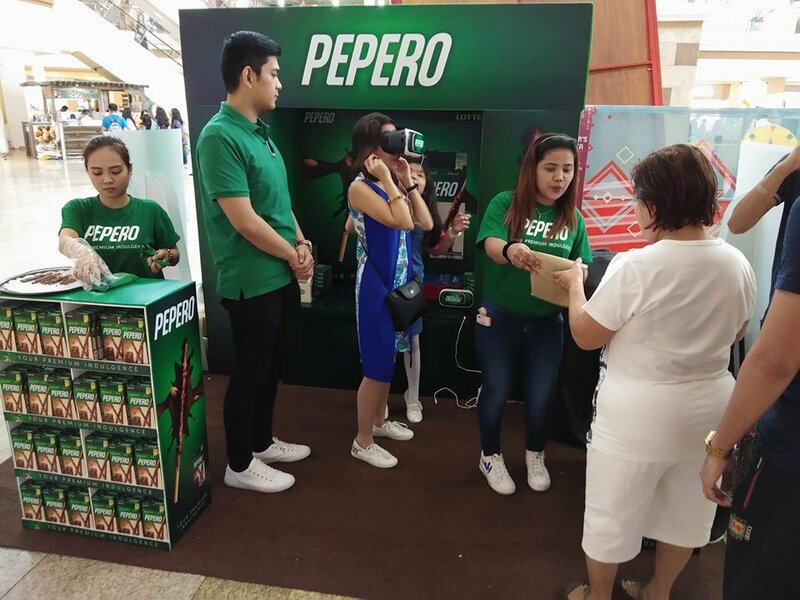 Pepero is building up its Almond Chocolate fare in the Philippines with a series of mall activations. The Pepero mall booths are packed with exciting activities where patrons get a chance to bag home exclusive Pepero items and even packs of the rich & tempting Almond Chocolate variant. At the mall activations, anyone can indulge on a stick of Pepero Almond Chocolate biscuit. One booth activity invites patrons to immerse themselves in a unique virtual reality experience. 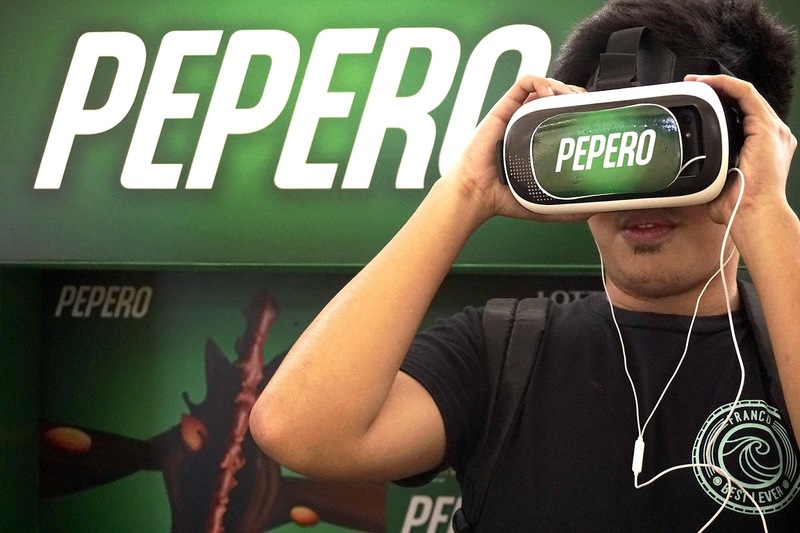 The Pepero VR Goggles is a one-of-a-kind, futuristic activity where one can make the most out of indulgent experiences by learning about the special ingredients that go in a Pepero Almond Chocolate biscuit. After the VR experience, participants will be asked a question about Pepero and if answered correctly, they can pick a prize from a bowl. Get to take home Pepero goodies, GMovies vouchers, a limited edition Pepero passport holder or luggage tag. Pepero Brand Ambassadors will also join in on the activities. 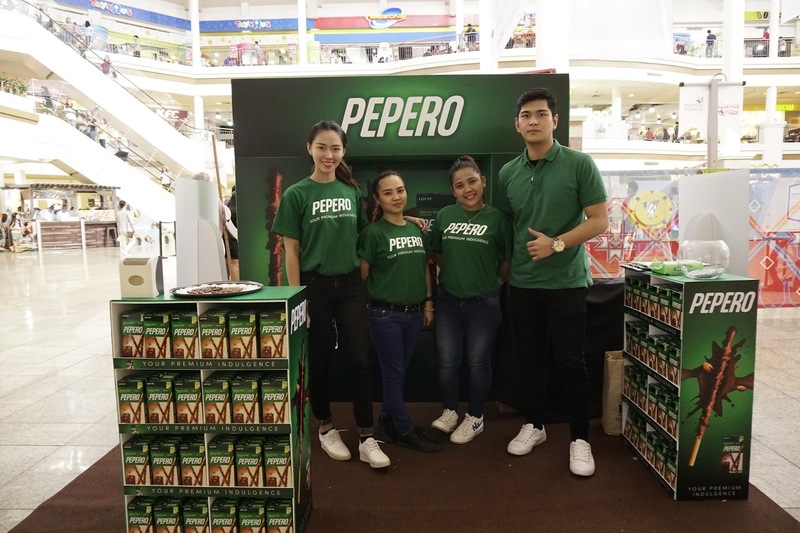 Catch Paul Chuapoco, Jam Manalo, Deegee Razon, Seph Cham, Trice Nagusara, and more of Pepero’s ambassadors at any of the Pepero mall events. Participate in any of the Pepero mall events on the following dates: February 3 and 4 at Alabang Town Center; February 17 and 18 at Trinoma; March 3 and 4 at Eastwood Mall; and March 17 and 18 at Glorietta. You Got Something, Work on it! Why do Darren and Sassa Love Vivo V7+?